As you probably know, I’m a bit OCD about my cables. A few years back, I tried at least a dozen balanced interconnects before deciding on a pair of Audience Au24 SE XLRs. They were the most well-constructed and best sounding balanced interconnects I’ve ever heard. There aren’t too many “safe-bets” in the high-end audio industry, but after having tried many of their products, I’ve quickly realized Audience is one them. It’s obvious they go through painstaking efforts of making sure their gear is voiced as naturally as possible. I’ve recently interviewed more than a dozen cables, this time single-ended, RCA interconnects. I’ll be using these interconnects to drive my Omega Compact Alnicos directly from the Chord DAVE (It outputs 2 watts @ 8 ohms and has an output impedance of 0.0055 ohms). In my opinion, there’s no better way to listen to an interconnect in its purest form. Because I get sent these interconnects pseudo-randomly, there are often times I don’t know the price during the review session, which is a great thing. Performance doesn’t always correlate with price, if at all. This is what I’ve found true especially with analog interconnects and speaker cables. Since I won’t have a discrete preamp, amplifier, an extra set of ICs, or speaker cables, I’ll need to perform my tone control with the RCA interconnects. This makes the cable a vital component in my system. So for the past 5-6 months, I’ve been living with and experiencing the many different flavors of RCA interconnects. I’ve discovered, unlike digital cables, as long as the manufacturers are using quality conductors and have sensible geometry and dielectrics for their cables, it’s difficult for them to sound terrible. In any case, since this cable is a major part of my system, I’m not looking for “good enough.” I’m simply looking for the best. One contender is the Audience Au24 SX analog RCA interconnect. Each component part is double cryogenically treated. Once the cable is assembled, it’s cryo’ed again. They call this CRYO2. I can’t tell what the gauge of conductors is used or geometry for that matter, but this is probably part of their secret sauce. The connectors look like KLEI/Bullet plugs and I found them to be my favorite type of RCA plugs. No screw tightening involved and easy to swap in and out for comparisons. The thin cable is also perfect for connections with the Chord DAVE, whereas stiffer and unwieldy cables could be more difficult to work with (and could actually damage your connectors). Vovox Fortis IC direct ($2,200) – I wrote about this wonderful cable here. The richest sounding RCA cable on the planet. Thick, velvety mids and amazingly accurate tone. If you’re looking for warmth, body, and mass, look no further. Zenwave D4 (starts at $950) – Another great cable by Zenwave. 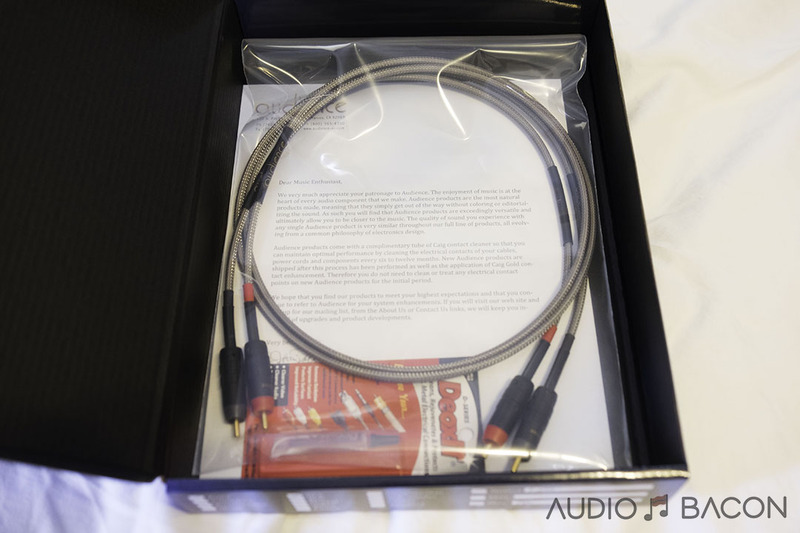 One of the most transparent, clean, high-resolution, and articulate cables on the market today. 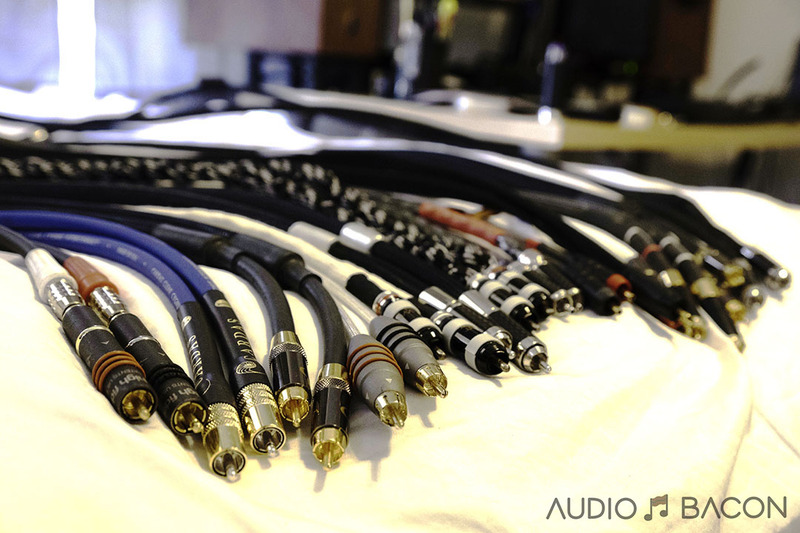 High Fidelity Cables Reveal ($699/m) – Why a $700 cable in this lineup? Simply because this cable performs way beyond its price point. It has many qualities of other top-tier cables and I actually preferred it to some of HFC’s higher end cables in some ways. In addition, I’ve consistently preferred it to cables more than double its price. With these types of comparisons, you start to hear the strengths and weaknesses of every cable. None of them are perfect and there are always sonic tradeoffs. I’m not sure if there’s any correlation but it seems the stiffer and thicker the cable, the warm it sounds and the thinner the cable, the more detailed and airy. Just an observation from listening to so many ICs over the past few months. Conductors make a difference and I’m more of a copper guy anyway. The Audience Au24 SX doesn’t come off sparkly or heavy. It has this very organic and natural flow. A superbly engaging, coherent, and mesmerizing sound. As the guitar plucks and audience cheers, you really feel like you’re in their presence. 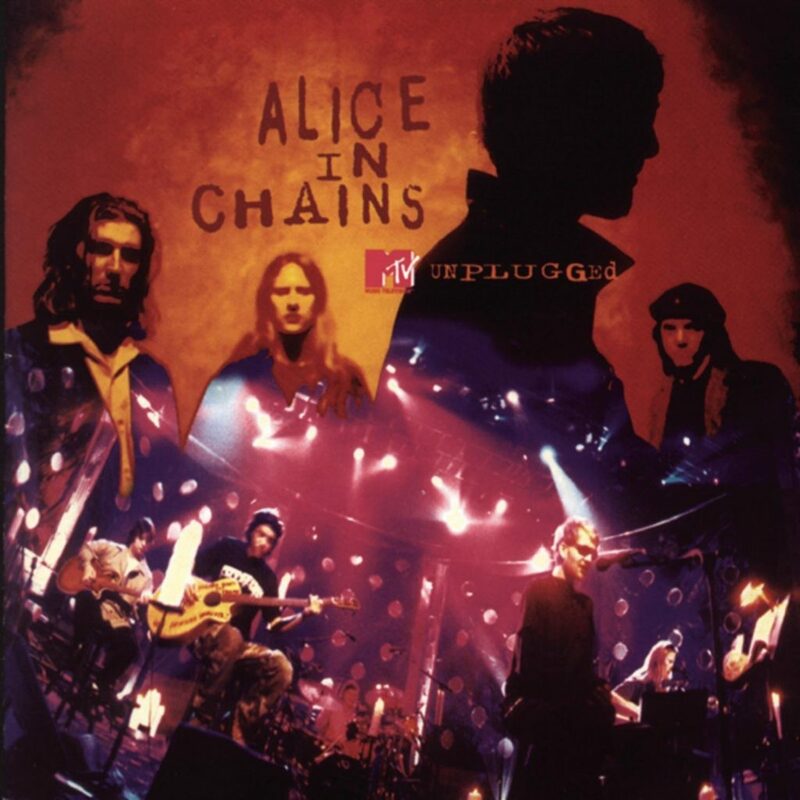 Layne Staley’s voice is so palpable, I don’t think I’ve ever heard this level of analog from an IC. It’s difficult to switch tracks when all the bandmates are performing right in front of you. Vovox Fortis – The Fortis is much more rich and weighty. All players have more mass and the entire spectrum is coated in dark chocolate. It’s addictively smooth. The Au24 SX is the complete opposite tonally. It has much more resolution, air, and layering. The bandmates are more cozy and intimate with the Fortis while with the Au24 SX, there’s a gentle separation of all the players in a relaxed space. The interesting thing is…I like both cables. I prefer a warmer tone but there’s still something about the Au24 SX that draws me closer to it. Zenwave D4 – Has a similar level of organics to the Au24. It’s very delicate, airy, and articulate as well. Definitely closer tonally to the Au24 SX than the Fortis. The main difference I believe is a bit more body and smoothness on the Au24 SX. The Zenwave D4 has more detail and is more “clean” and lean sounding. Both have a very expansive soundstage and focused image. 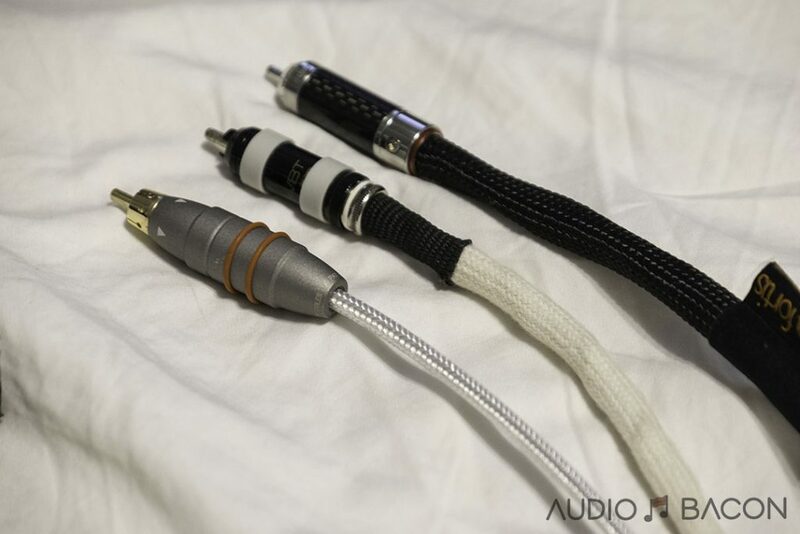 High Fidelity Cables Reveal – Super clean and musical. Difficult to complain about. This cable is very insightful and intelligible, fantastic punch with a lot of sparkle and clarity. There’s lots of air and depth and stringed instruments are well-textured. The Reveal has more “fun-factor” over the Au24 SX but not quite there as far as having a natural timbre and smoothness. The Au24 SX also provides more depth in the soundstage. Without a direct comparison, it would be hard to knock the Reveal for anything. It sounds that good. 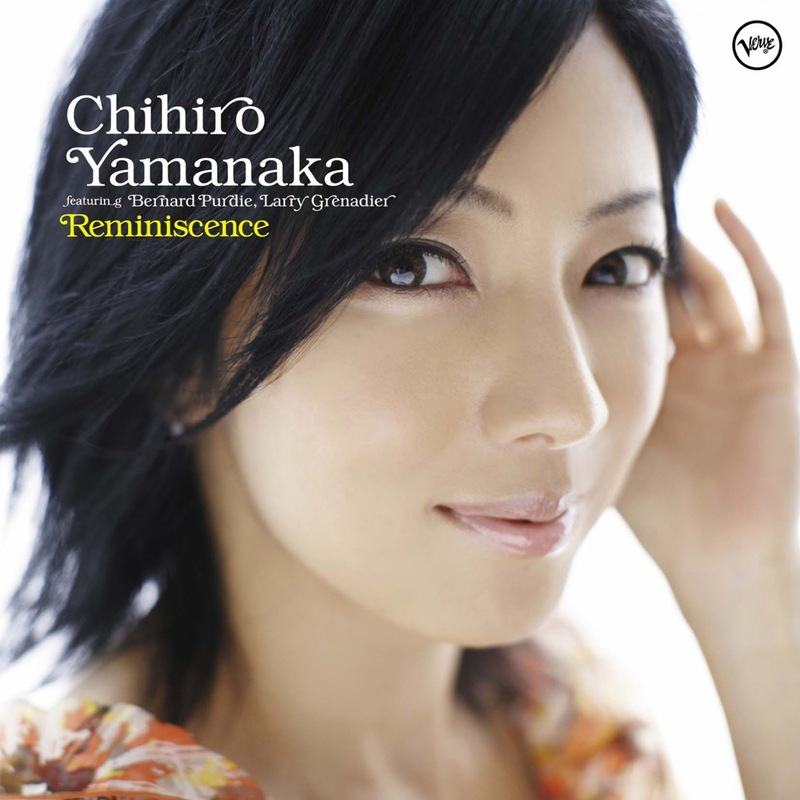 Chihiro’s version of Leon Russell’s recording does not disappoint. This track exhibits the balance the Au24 SX provides. From the rhymic percussive taps to the cymbal slides, coherence and beautiful musicality is never sacrificed. I would prefer a bit more weight on the hammered strings but the speed and gracefulness make up for a lot. It’s difficult to come up with hyperboles with a sound this silky and immersive. 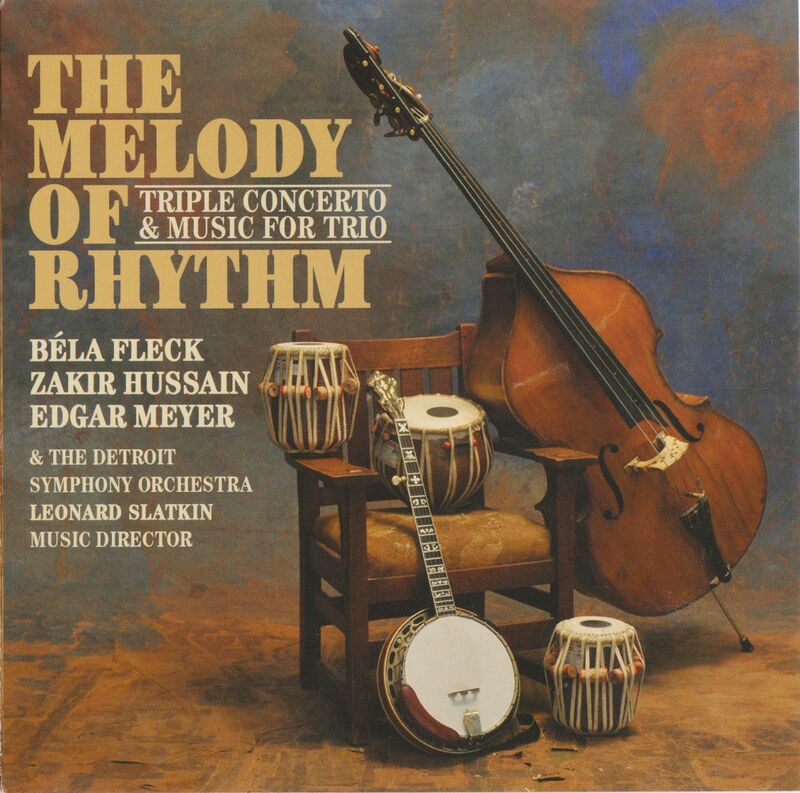 Tone, timbre, air, tonal gradations…all apparent from the rhymic flows of the entire cast. Vovox Fortis – The Fortis transforms this recording into a much more intimate venue. Rich, sweet, and heavier tones. The price to pay for a warmer sound is a greyer background, which puts the players closer together on the soundstage. The other drawback is depth and shine. Cymbals don’t have a shine and reverberation cues I’m expecting. That said, one can’t deny how natural the timbre of the piano and drums are. Zenwave D4 – This cable just breathes freely and probably has the largest soundstage of the cables I’ve tested. Tone and timbre are a bit uplifted but the gains are obvious. It’s incredibly light on its feet and provides a pristine and focused image. The Au24 SX isn’t as detailed but once again, sounds smoother with more weight to the instruments. 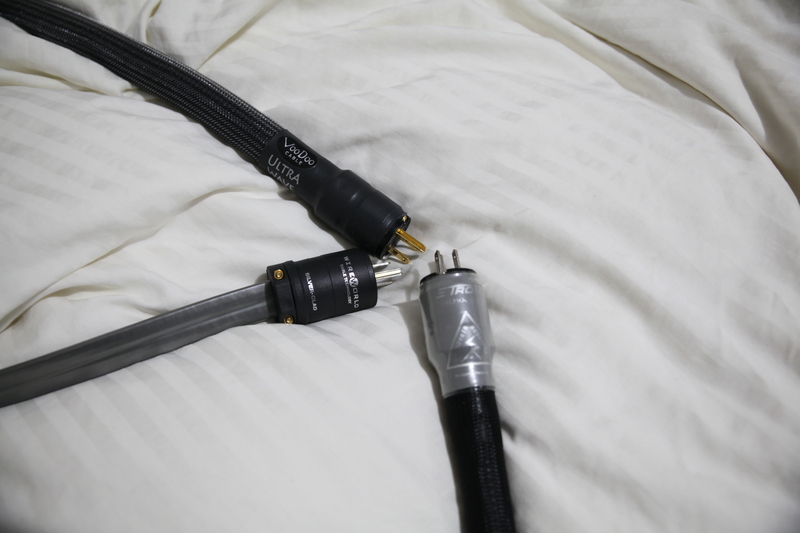 High Fidelity Cables Reveal – Doesn’t have as much air of the Zenwave D4 but I feel it has better timbre on the piano. It’s very articulate and bass plucks are perceptible and rhymic. A very transparent cable. Drum smacks are tight and clean and cymbals have the right amount of shine. There’s a tiny bit of grain up top versus the Au24 SX and has somewhat less resolution. I have to say though, the energy from the Reveal is quite nice. No other cable in this comparison was able to capture the natural gradation and progression of her voice throughout this recording other than the Au24 SX. 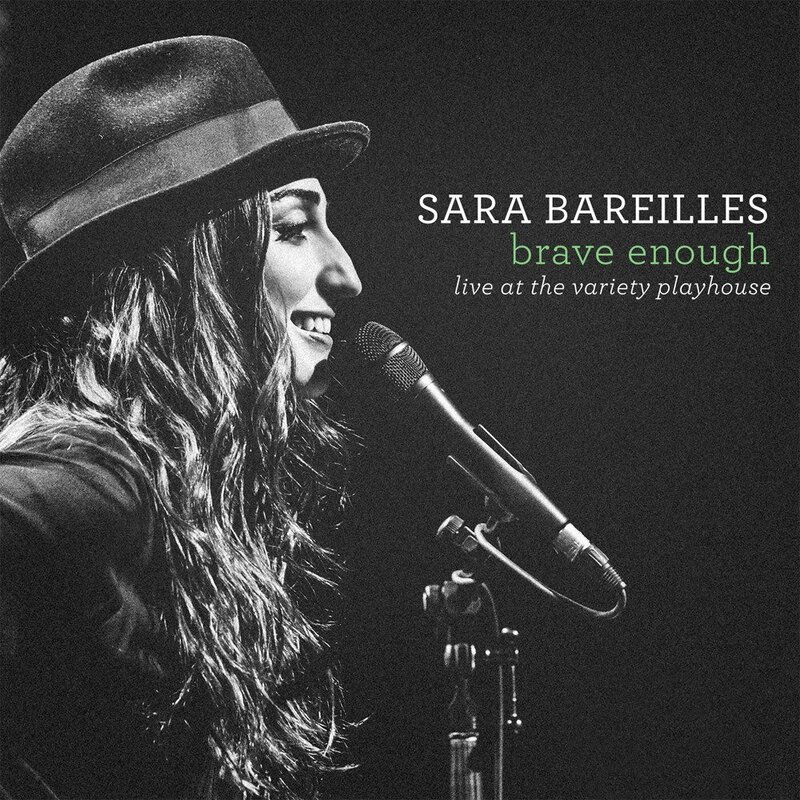 As she elevates and dips her voice, it’s insightfully analog sounding. The piano melodically plays in an unconstrained acoustic space. A thicker tone overall would be nice but the musical realism is there. Vovox Fortis – Sara has fantastic and accurate weight to her voice with the Fortis, just lacks the resolution and air of the Au24 SX. Her voice also doesn’t sing deep into the room as it does with the Au24 SX. There’s a bit of a softness in the upper octaves with the Fortis. Both sound great in their own ways. Zenwave D4 – This cable is super quiet and amazingly articulate. Whereas the Fortis intimately blends the soundscape, the D4 does it in a light-hearted way, combining the crowd, singer, and instruments in more layers. The Au24 SX does this in a more coherent and full-bodied way but does sound slightly “grey” in comparison to the D4. High Fidelity Reveal – Fantastic soundstage focus and resolution of low-level tonal nuances. This thing punches pretty damn hard for a more transparent sounding cable. It could also be quiet and gentle. The Au24 SX has more body and piano notes sound more well-encompassed. In some ways, I feel the Reveal is actually more detailed than the Au24 SX for this track. Both have excellent reverberation cues. The Au24 SX provides so much insight into the introduction guitar notes. A very dimensional and enveloping sound. You’re able to get a sense of the space even when it’s dead quiet due to the soft claps and other ambient cues. One thing I really like about the SX: I don’t feel any frequency is accentuated. It always sounds like a natural outpour of music. Vovox Fortis – Sounds much more forward and intimate versus the Au24 SX. Everything is just more full-bodied and exudes more mass. 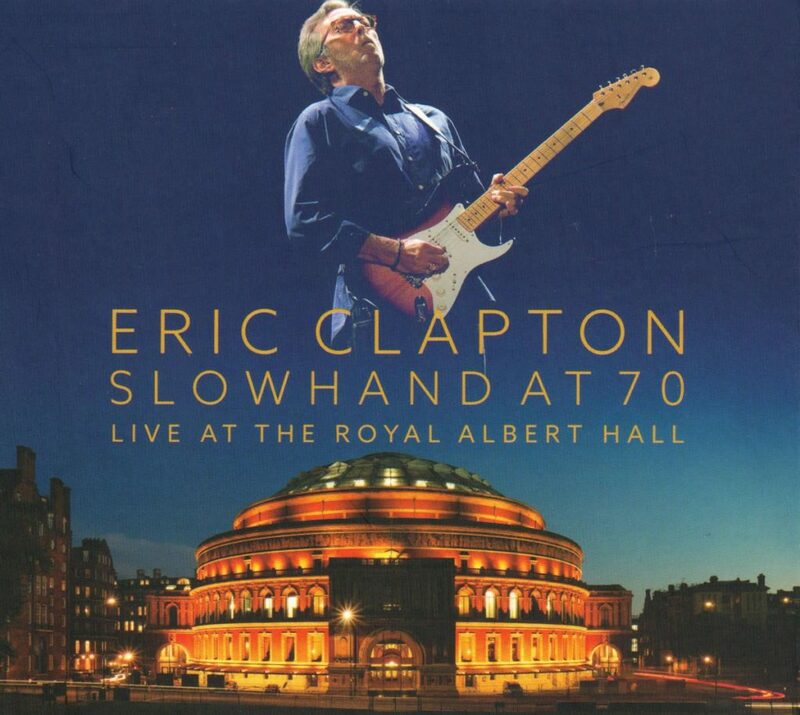 When Eric approaches the microphone at around the 1:00 mark, it sounds sudden on the Fortis but gradual with the SX. The backup singers also seem to be much closer to the Eric with the Fortis while with the Audience it’s a healthier distance away. The SX also does better with the layering of the soundstage but the Fortis has this groovy meat to the music. Zenwave D4 – This cable probably has one of the best reverberation reproductions of any cable. There’s a convincing level of depth and everybody is well-placed and well-paced. There’s a tiny bit of grain up top vs the Au24 SX but I can’t deny the amount of air and excitement the D4 provides. High Fidelity Cables Reveal – The awesome thing about this cable is that, even with a busy track like this, it’s always engaging and never fatiguing. It always remains transparent. The SX does provide more tonal textures and coherence but the Reveal gets really close to everything else. The Au24 SX wants you to hear everything and brings a newfound level of what we consider articulation and synergy. There’s a lot of snap, clap, and crack in this track in its most organic form. 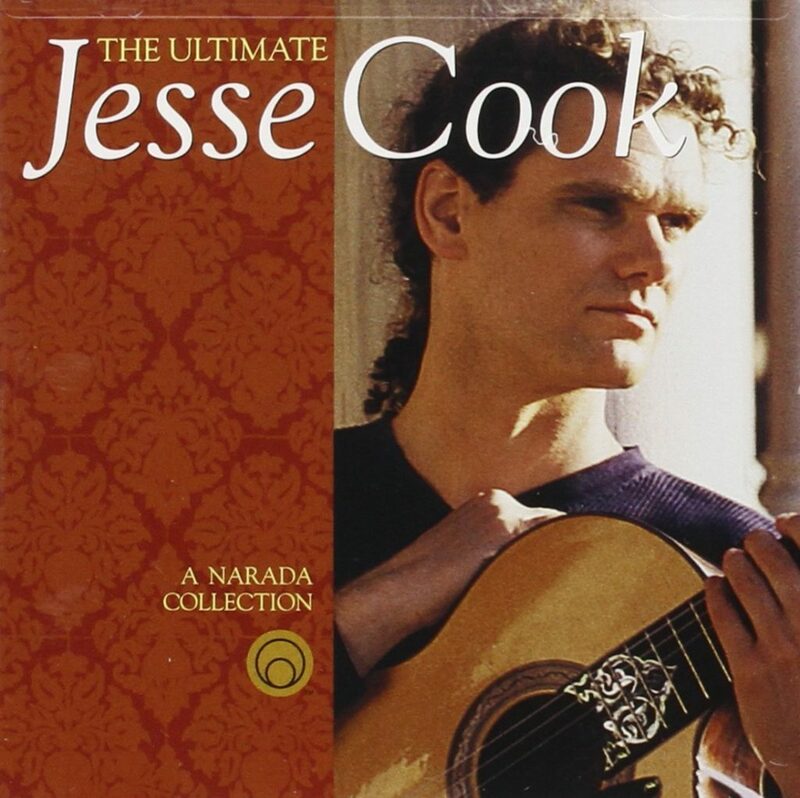 Incredible depth and focus for the centered guitar. Percussions are constantly tickling your ears with luscious smacks. It’s hard not to bob your head. Vovox Fortis – Reverb isn’t convincing with the Fortis but it is so well textured, especially with the low-hitting notes. The Fortis has more of a romantic sound which I think would be perfect for neutral and brighter sounding speakers. I prefer the tone of the Fortis over the Au24 SX but the lack of deeper resolution draws me to the SX. Zenwave D4 – Damn…this cable is so resolving of every little string pluck/strum. It doesn’t have the body of some of the other cables but it’s snappy and floaty. Super clean. The Au24 SX is a little more “dirty” sounding but I think in a good way. The D4 comes off a little thin at times. High Fidelity Cables Reveal – If there’s a track to test the ferocity of this cable, this would be it. It handles its own very, very well here. The Au24 SX has more detectable textures and better dimensionality but the Reveal sounds beautiful regardless. Most will be happy with this cable for the price paid. The intro voices were the most human on the Au24 SX. Soundstage is also much wider than the rest of the cast, with the exception of the Zenwave D4. Dynamics are king here. Drum beats are undisturbed by both vocals and brass. The Au24 SX is capable of giving you some chest thumping dynamics. Rarely does one get this much transparency with this amount of low-end heft and definition. At this point, I feel the Au24 SX is multi-faceted as far as genres. Vovox Fortis – A proper amount of meat on the bones but lacks a bit of air and contouring. Bass isn’t as tight as the SX but more weighty. Zenwave D4 – As expected, very clean sounding. If you want something pristine, the D4 is hard to beat. It has sparkle and air for days. I prefer something more dense and warm. High Fidelity Reveal – Realistic tone and good timbre. This cable is acoustically balanced and I don’t have much to complain about. Voices are more intelligible with the Au24 SX but the Reveal gets close. I think the only thing it really lacks is a little smoothness up top. Bass notes decay properly into space and there’s tons of resolution and texture with the Au24 SX. Everyone has their own acoustic space with a sense of body & soul. Pinpoint imaging, especially with the bass player. The banjo and tabla are clearly delineated while there’s more sonic bleeding with most of the cables. Vovox Fortis – There’s a closer overlap of instruments versus the Au24 SX, it’s almost piecewise. The Fortis also can’t keep up with the speed of the tabla taps but it sounds…natural and real. Definitely not as clean or transparent as the Au24 SX but some may prefer this lusher sound. It actually has a tone that’s right up my alley. Too bad we can’t have it all. Zenwave D4 – Not quite as “soulful” as the other cables in this comparison but it is a transparent and detail monster. It’s impressive in its delivery of rapid strings and bass notes. High Fidelity Cables Reveal – Silky smooth bass notes and you get a lot of resolution for your money. Instruments sound their part and play coherently throughout. As you’d expect by now, the Au24 SX is just slightly smoother and provides more depth. With the Au24 SX, it’s reverberation galore. The soundscape is huge and fills the entire room. 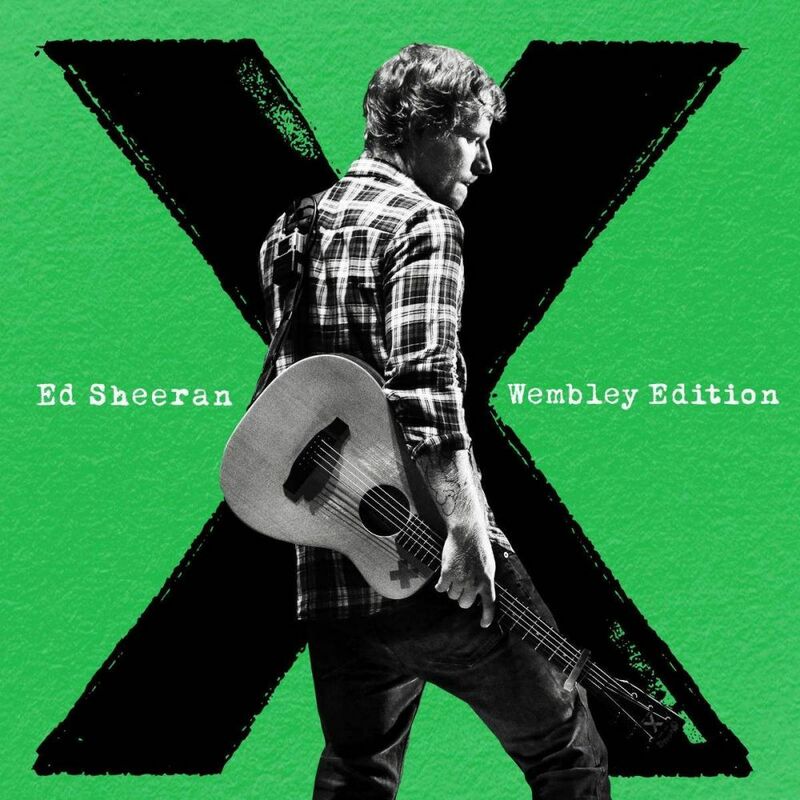 This was recorded at Wembley Stadium and it sounds like it. Bass is never overwhelming and it sounds like an actual concert in a large venue. This recording has the crowd singing along…which is very difficult for a lot of cables to reproduce properly. Vovox Fortis – Is more forward and thick sounding than the Au24 SX. Ed’s voice is much closer to the listener with the Fortis. The venue doesn’t sound as large as it should, more of a cozier venue. His voice does have amazing weight and I do prefer it to the Au24 SX in that respect. Zenwave D4 – Because of the crazy resolution this cable provides, you could hear the sing-along best with the Zenwave D4. It’s quite incredible. As far as tonal cues, the D4 will provide them all. You will know exactly how many people are in the venue and where the walls are. The tradeoff is a more tonally dense and full-bodied sound. The Au24 SX can’t resolve the acoustic nuances as well but it does it well enough to be convincing. 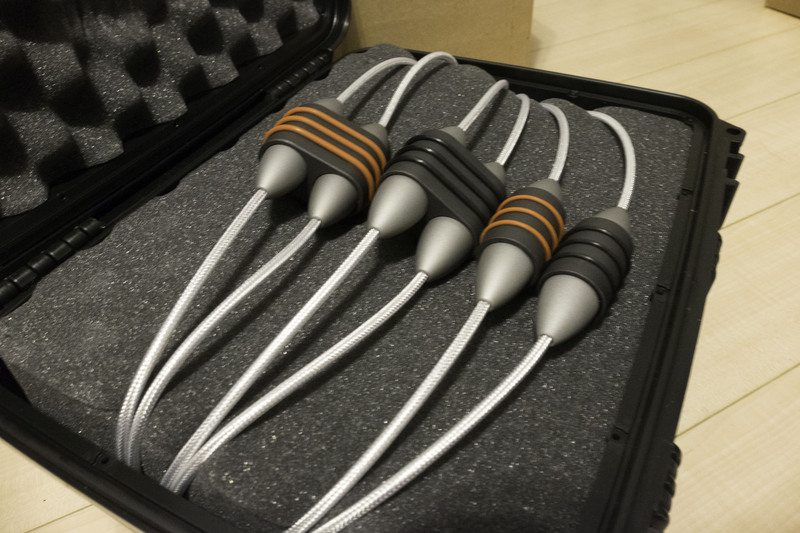 High Fidelity Cables Reveal – Dat bass. This cable rocks. In a way, it strikes a nice balance between the D4 and Fortis (leaning towards the D4). A little warmth and it would be perfect. Acoustic cues aren’t as apparent but better than most cables I’ve heard. The Au24 SX sounds calmer and more relaxed versus the Reveal with its more energetic presentation. 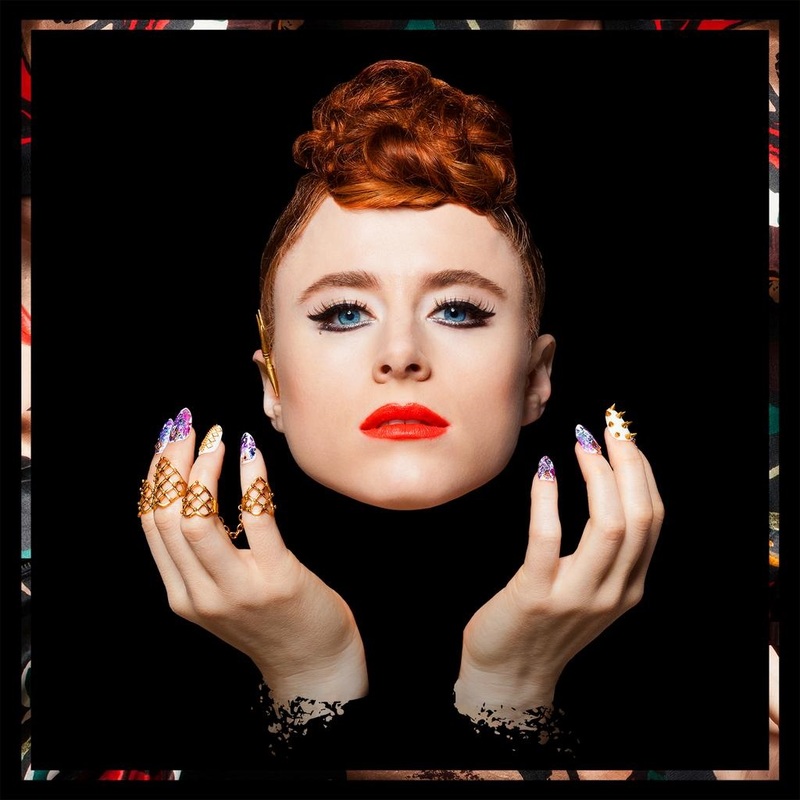 Kiesza’s voice on this recording could sound harsh on many cables. 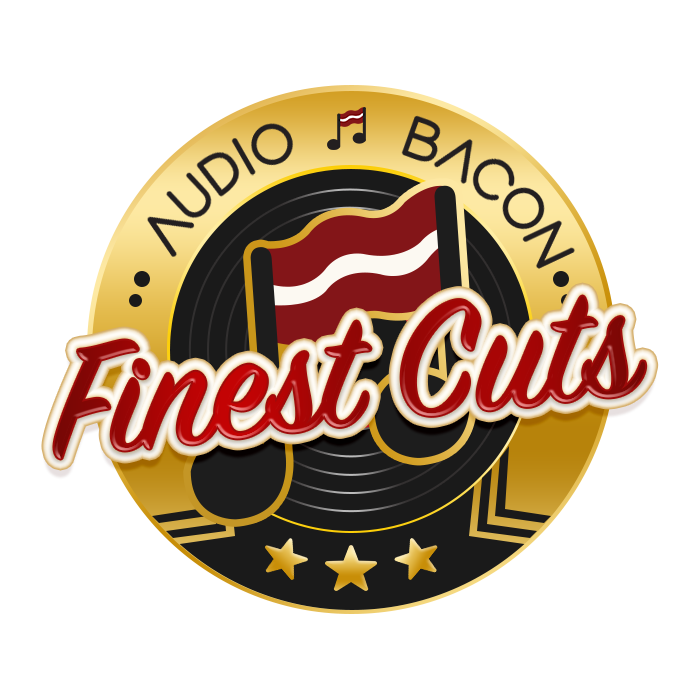 The Audience presents the utmost transparent and organic sound. I’ve never heard this song sound better. It’s dynamic, delicate, and immersive at the same time. I would like a little bit more body and perhaps a warmer tone but I have to struggle to nitpick about that. It checks off so many desirable audio traits. Vovox Fortis – The Au24 SX has much better focus, but that meat on the bones is absolutely delightful. Her voice doesn’t extend super deep into the room like with the Au24 SX and the bass is a bit looser. The Au24 SX does trade a little bit of euphony for resolution. Zenwave D4 – Absolutely pristine as far as sound. I think this cable would be an acoustic/orchestral/chamber music listener’s goldmine. An abundance of spaciousness and aural nuances. Although the Au24 SX does have a similar tone to the D4, it has a smoother approach and trades some of that resolution, transparency, and soundstage width for musical weight. 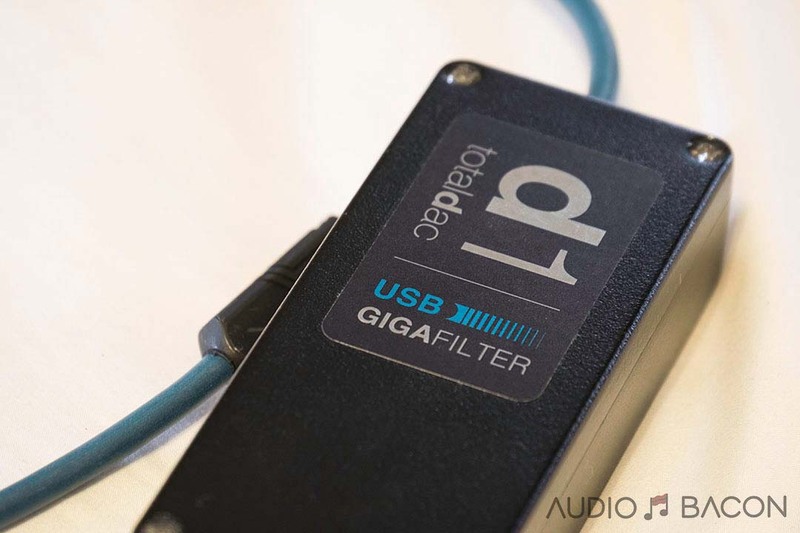 High Fidelity Cables Reveal – Acoustic separation isn’t as good as the Au24 SX but the Reveal never goes out of line and remains clear and coherent. After realizing where this cable stands amongst “giants,” it’s difficult to nitpick. I typically don’t look at prices until after all my notes are written down. However, I was so impressed with the Audience Au24 SX, I broke that rule in spades. Luckily, I found the price to be relatively inexpensive for its performance and ended up purchasing one. Although I would prefer a warmer tone (a cross between a Vovox Fortis and Au24 SX would be something) but that midrange purity and overall humanistic presentation are too much to pass up. I’ve decided it’s best to chase warmth with other components instead. There’s something really special about the Audience Au24 SX RCA interconnects. 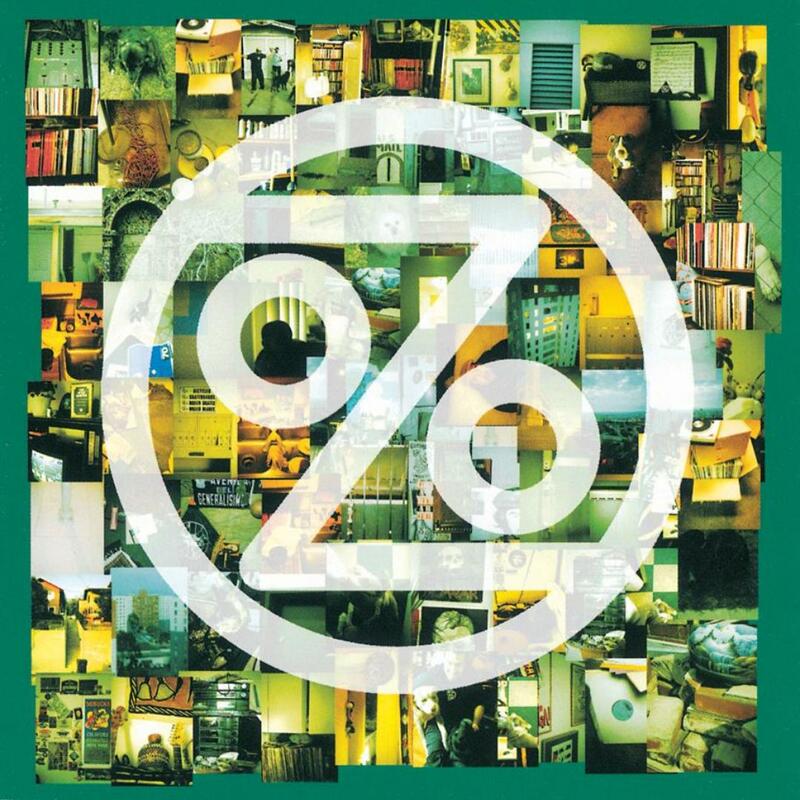 I was looking for the best and during my first round of listening and I felt I found it almost immediately. After months of listening, I’ve only reaffirmed this belief. If you’re looking for a goosebump-inducing, smooth, and acoustically hypnotic cable, there is no better. From delivery of the largest of crescendos to the most subtle of aural nuances, the Au24 SX will present them in the form of monstrous dynamics and immaculate articulation. The refreshingly new Audience Au24 SX is nothing short of remarkable and paired wonderfully with the Chord DAVE. 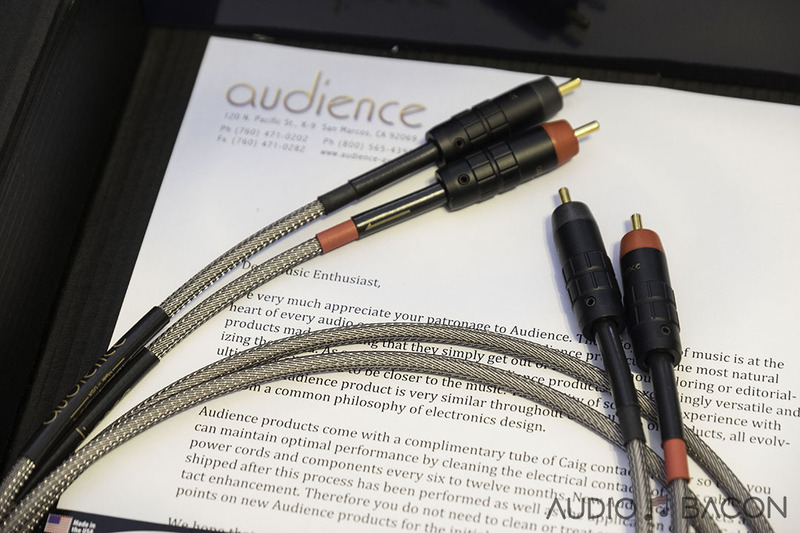 Audience is known to be a trend-setter in this industry and their new RCA interconnects are a testament to that.There’s just a fluid, insightful, and natural character about the Audience Au24 SX that I haven’t heard from other cables. I believe it to be as close to the holy grail for RCA interconnects as one could get. That said, it shall be granted the Finest Cuts. No doubt it’s very good, and a good review. How many times do we have to hear a reviewer say the price is obviously too high for what it is, but the product is “still a good value”. 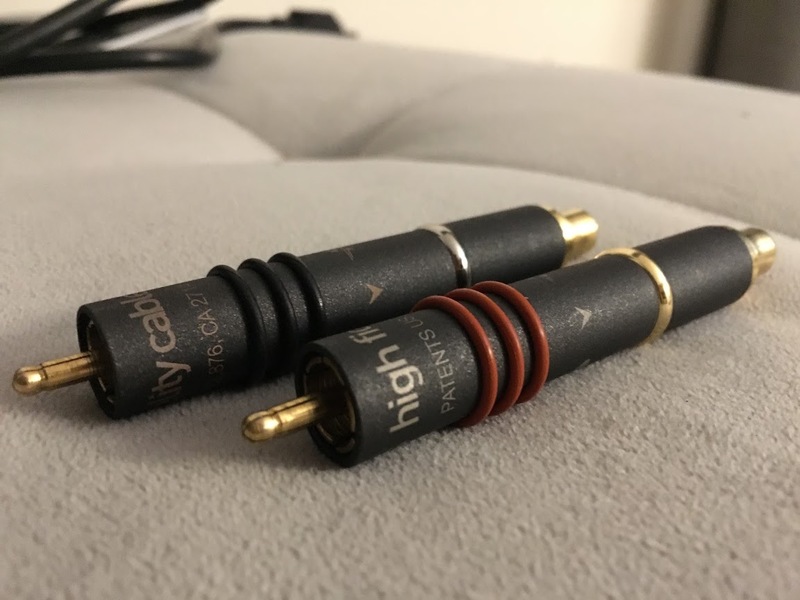 From the review descriptions, it looks like the High Fidelity interconnect would be great on subwoofers, for line level connections. The Audience better full range. From my own reading and experience, I would suggest comparing Audience SX with Zentara Reference and Tellurium Q interconnects, on source components and main amplifiers. One will sound the best, depending on your own equipment. I’ll try to source a Zentara Reference and Tellurium Q. Thanks for the rec Bill. Just for clarification, I don’t think I ever said any of these cables were priced too high but remained a good value. IMO, the Audience AU24 SX is amazing regardless of price and I’d expect it to be pricier. As for the HFC, it sounds stupidly good, especially for its price. The Zenwave is probably the most transparent and resolving of all the cables I’ve tested and is priced very well. To really get the best, I would go with a interconnect or power cord that has a passive box to absorb noise, RFI/EMI. A cable/cord alone can’t do all the heavy lifting, in my experience. Listen to a Ziro Disclosure or Vertex AQ hirez Solfonn, and you might be in for a shock. There’s so much more music there, once the noise floor is dropped.